Most people just throw out all the goop and seeds from their carved pumpkins this month, but my mother was not one of those people. She would collect up the remains of our beautiful carved creations, disappear into the kitchen for a while and then later that night she was snacking on what is now one of my favorite fall snacks. Thoroughly wash all of the goop off of your seeds. Get your hands in there and get serious with it. 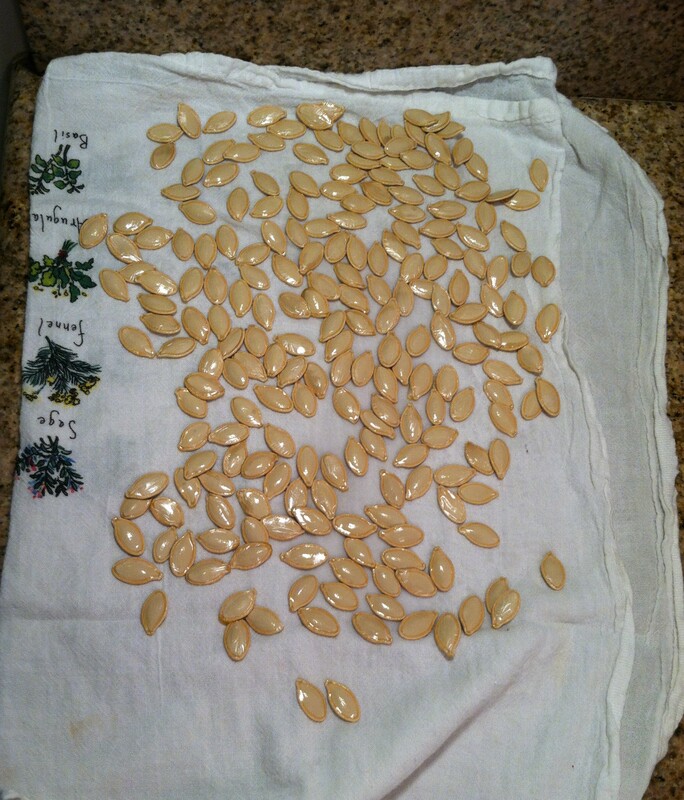 Once the seeds are clean lay them evenly out on paper towel (or kitchen towel for the environmentally conscious) to dry. I would suggest letting them dry overnight to get the best crunch, but it really only takes about 2-3 hours. Preheat the oven to 350 degrees. 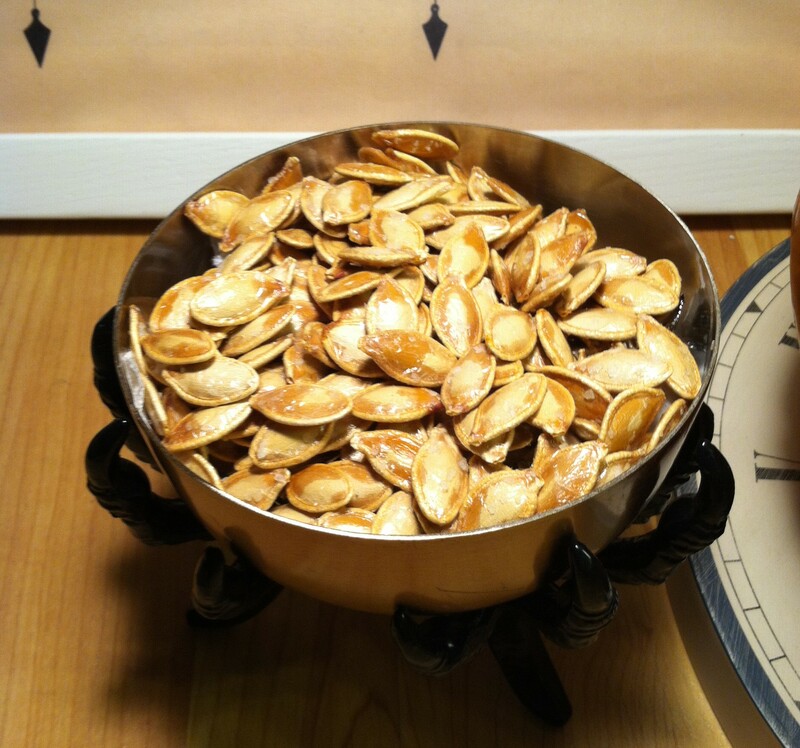 Once dry, coat the seeds with a few tablespoons of olive oil and a few pinches of sea salt, but don’t go overboard. Too much salt can ruin the whole batch. 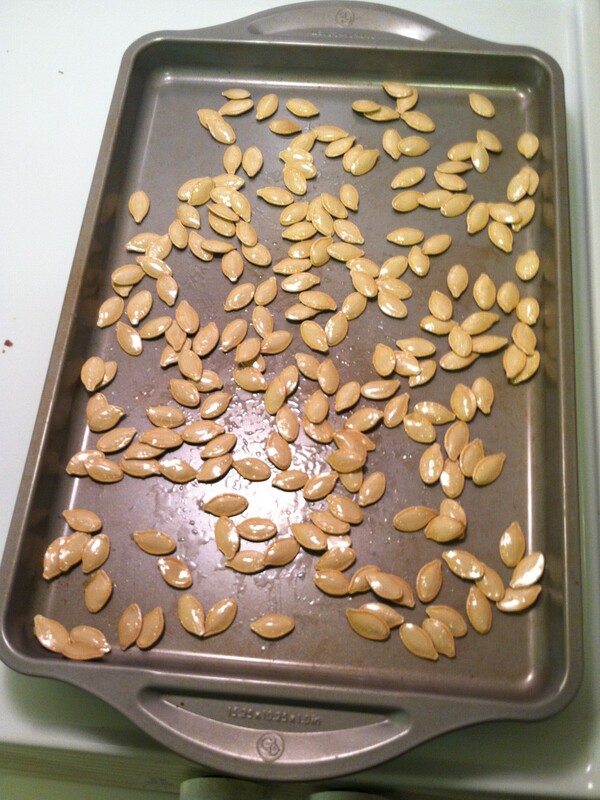 Spread the seeds out evenly on a baking sheet and bake at 350 degrees for 15-25 minutes or until golden brown. That’s it! Now go ahead and enjoy those bad boys.